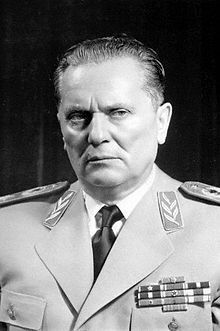 Josip Broz Tito was bornon May 07, 1892 in Kumrovec, Yugoslav. Josip Broz Tito was a popular statesman, who served as a Yugoslav Partisan, which was Europe’s most effective anti-Nazi resistance movement. Despite being an outright authoritarian and dictator, he was loved by all for his successful economic and diplomatic policies. He was popularly called the architect of ‘second Yugoslavia’, a socialist federation which initiated from World War II until 1991. During his term, he took on various prominent roles, starting with being a Secretary-General and later president of the Communist Party of Yugoslavia from 1939-80, Supreme Commander of the Yugoslav Partisans from 1941-45 and the Yugoslav People’s Army from 1945-80. 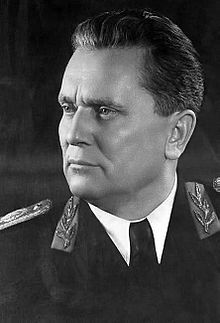 He served as a Premier from 1945-53, Marshal from 1943-80, and President of Yugoslavia from 1953 until his death in 1980. What made him different from other communist leaders was the fact that he defied the norms set by the Soviet and instead preferred to lead Yugoslavia on road to socialism. During the latter half of his life, he became an arch supporter of non-aligned movement and its first Secretary General in 1961. To know in details about his life, scroll further. Stop sending people to kill me. We&apos;ve already captured five of them, one of them with a bomb and another with a rifle. [...] If you don&apos;t stop sending killers, I&apos;ll send one to Moscow, and I won&apos;t have to send a second. Josip Broz Tito received a total of 119 awards and decorations from 60 countries around the world (59 countries and Yugoslavia). 21 decorations were from Yugoslavia itself, 18 having been awarded once, and the Order of the National Hero on three occasions. Of the 98 international awards and decorations, 92 were received once, and three on two occasions (Order of the White Lion, Polonia Restituta, and Karl Marx). The most notable awards included the French Legion of Honour and National Order of Merit, the British Order of the Bath, the Soviet Order of Lenin, the Japanese Order of the Chrysanthemum, the German Federal Cross of Merit, and the Order of Merit of Italy. The decorations were seldom displayed, however. After the Tito–Stalin split of 1948 and his inauguration as president in 1953, Tito rarely wore his uniform except when present in a military function, and then (with rare exception) only wore his Yugoslav ribbons for obvious practical reasons. The awards were displayed in full number only at his funeral in 1980. 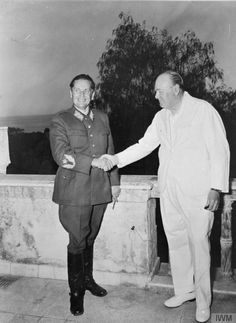 Tito&apos;s reputation as one of the Allied leaders of World War II, along with his diplomatic position as the founder of the Non-Aligned Movement, was primarily the cause of the favorable international recognition. Here follows a short list including some of the more notable foreign awards and decorations of Tito. Some of the other foreign awards and decorations of Josip Broz Tito include Order of Merit, Order of Manuel Amador Guerrero, Order of Prince Henry, Order of Independence, Order of Merit, Order of the Nile, Order of the Condor of the Andes, Order of the Star of Romania, Order of the Gold Lion of the House of Nassau, Croix de Guerre, Order of the Cross of Grunwald, Czechoslovak War Cross, Decoration of Honour for Services to the Republic of Austria, Military Order of the White Lion, Nishan-e-Pakistan, Order of Al Rafidain, Order of Carol I, Order of Georgi Dimitrov, Order of Karl Marx, Order of Manuel Amador Guerrero, Order of Michael the Brave, Order of Pahlavi, Order of Sukhbaatar, Order of Suvorov, Order of the Liberator, Order of the October Revolution, Order of the Queen of Sheba, Order of the White Rose of Finland, Partisan Cross, Royal Order of Cambodia and Star of People&apos;s Friendship and Thiri Thudhamma Thingaha. 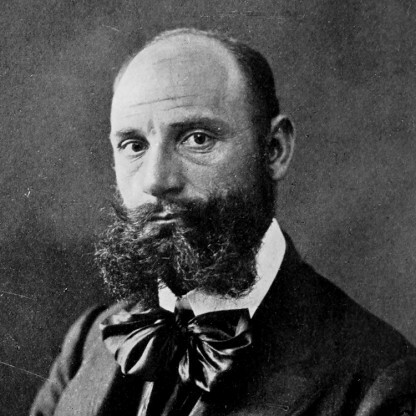 He was the seventh or eighth child of Franjo Broz (1860–1936) and Marija née Javeršek (1864–1918), his parents having already lost a number of children in early infancy. He was christened and raised as a Roman Catholic. His father, Franjo, was a Croat whose family had lived in the village for three centuries, while his mother Marija, was a Slovene from the village of Podsreda. The villages were only 16 kilometres (10 mi) apart, and his parents had been married on 21 January 1891. Franjo Broz had inherited a 4.0-hectare (10-acre) estate and a good house, but he was unable to make a success of farming. Josip spent a significant proportion of his pre-school years living with his maternal grandparents at Podsreda, where he became a favourite of his grandfather Martin Javeršek, and by the time he returned to Kumrovec to commence school he spoke Slovene better than Croatian, and had learned to play the piano. Despite his mixed parentage, Broz is often referred to as an ethnic Croat. Josip Broz was born on 7 May 1892 in Kumrovec, a village in the northern Croatian region of Hrvatsko Zagorje which at that time was part of the Kingdom of Croatia-Slavonia within the Austro-Hungarian Empire. In July 1900, at the age of eight, Broz entered primary school at Kumrovec, but only completed four years of school, failing the 2nd grade then graduating in 1905. As a result of his limited schooling, throughout his life he was poor at spelling. After leaving school, he initially worked for a maternal uncle then on the family farm. 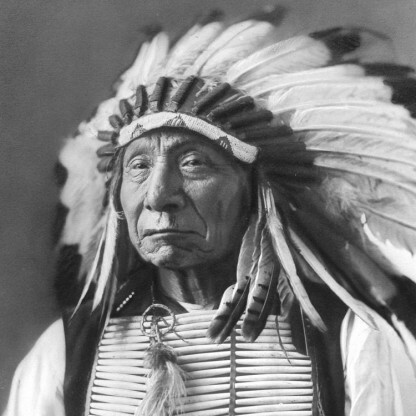 In 1907, his father wanted him to emigrate to the United States, but could not raise the money for the voyage. Instead, aged 15 years, Josip left Kumrovec and travelled about 97 kilometres (60 mi) south to Sisak where his cousin Jurica Broz was doing army Service. Jurica helped him get a job in a restaurant, but Broz soon tired of that work and approached a Czech locksmith, Nikola Karas, for a three-year apprenticeship, which included training, food, and room and board. As his father could not afford to pay for his work clothing, Josip paid for it himself. Soon after, his younger brother Stjepan also became apprenticed to Karas. During his apprenticeship he was encouraged to mark May Day in 1909, and read and sold Slobodna Reč (Free Word), a socialist newspaper. After completing his apprenticeship in September 1910, Broz used his contacts to gain employment in Zagreb and at the age of 18 joined the Metal Workers&apos; Union and participated in his first labour protest. He also joined the Social-Democratic Party of Croatia and Slavonia. He returned home in December 1910 and in early 1911 began a series of moves, first seeking work in Ljubljana then Trieste, Kumrovec and Zagreb, where he worked repairing bicycles and joined his first strike action on May Day 1911. After a brief period of work in Ljubljana, between May 1911 and May 1912 he worked in a factory in Kamnik in the Kamnik–Savinja Alps, and when it closed, he was offered redeployment to Čenkov in Bohemia. On arriving at his new workplace he discovered that the employer was trying to bring in cheaper labour to replace the local Czech workers, and he and others joined successful strike action to force the employer to back down. Driven by curiosity, Broz then moved to Plzeň where he was briefly employed at the Škoda Works, then travelled to Munich in Bavaria. He also worked at the Benz car factory in Mannheim, and visited the Ruhr. By October 1912 he had arrived in Vienna where he stayed with his older brother Martin and his family and worked at the Griedl Works before getting a job at Wiener Neustadt where he worked for Daimler, and was often asked to drive and test the cars. During this time he spent considerable time fencing and dancing, and during his training and early work life he also learned German and passable Czech. In May 1913, Broz was conscripted into the Austro-Hungarian Army, for his compulsory two years of Service. He successfully requested that he serve with the 25th Croatian Home Guard (Croatian: Domobran) Regiment garrisoned in Zagreb. After learning to ski during the winter of 1913–1914, he was sent to a school for non-commissioned officers in Budapest, after which he was promoted to sergeant major, and, at 22 years of age, became the youngest of that rank in his regiment. At least one source states that he was also the youngest sergeant major in the Austro-Hungarian Army. After winning the regimental fencing competition, Broz went on to come second in the army fencing championships in Budapest in May 1914. Soon after the outbreak of World War I in 1914, the 25th Croatian Home Guard Regiment marched towards the Serbian border, but Broz was arrested for sedition and imprisoned in the Petrovaradin fortress in present-day Novi Sad. Broz later gave conflicting accounts of this arrest, telling one biographer that he had threatened to desert to the Russians, but also claiming that the whole matter arose from a clerical error. A third version was that he had been overheard saying that he hoped the Austro-Hungarian Empire would be defeated. After his acquittal and release, his regiment served briefly on the Serbian Front before being deployed to the Eastern Front in Galicia in early 1915 to fight against Russia. On one occasion, the scout platoon he commanded went behind the enemy lines and captured 80 Russian Soldiers, bringing them back to their own lines alive. In 1980 it was discovered that he had been recommended for an award for gallantry and initiative in reconnaissance and capturing prisoners. On 25 March 1915, he was wounded in the back by a Circassian cavalryman&apos;s lance, and captured during a Russian attack near Bukovina. Now a prisoner of war (POW), Broz was transported east to a hospital established in an old monastery in the town of Sviyazhsk on the Volga river near Kazan. During his 13 months in hospital he had bouts of pneumonia and typhus, and learned Russian with the help of two schoolgirls who brought him Russian classics by such authors as Tolstoy and Turgenev to read. After recuperating, in mid-1916 he was transferred to the Ardatov POW camp in the Samara Governorate, where he used his skills to maintain the nearby village grain mill. At the end of the year, he was again transferred, this time to the Kungur POW camp near Perm where the POWs were used as labour to maintain the newly completed Trans-Siberian Railway. Broz was appointed to be in charge of all the POWs in the camp. During this time he became aware that the Red Cross parcels sent to the POWs were being stolen by camp staff. When he complained, he was beaten and put in prison. During the February Revolution, a crowd broke into the prison and returned Broz to the POW camp. A Bolshevik he had met while working on the railway told Broz that his son was working in an engineering works in Petrograd, so, in June 1917, Broz walked out of the unguarded POW camp and hid aboard a goods train bound for that city, where he stayed with his friend&apos;s son. The Journalist Richard West has suggested that because Broz chose to remain in an unguarded POW camp rather than volunteer to serve with the Yugoslav legions of the Serbian Army, this indicates that he remained loyal to the Austro-Hungarian Empire, and undermines his later claim that he and other Croat POWs were excited by the prospect of revolution and looked forward to the overthrow of the empire that ruled them. In Omsk the train was stopped by local Bolsheviks who told Broz that Vladimir Lenin had seized control of Petrograd. They recruited him into an International Red Guard which guarded the Trans-Siberian Railway during the winter of 1917–1918. In May 1918, the anti-Bolshevik Czechoslovak Legion wrested control of parts of Siberia from Bolshevik forces, and the Provisional Siberian Government established itself in Omsk, and Broz and his comrades went into hiding. At this time Broz met a beautiful 14-year-old local girl, Pelagija "Polka" Belousova, who hid him then helped him escape to a Kyrgyz village 64 kilometres (40 mi) from Omsk. Broz again worked maintaining the local mill until November 1919 when the Red Army recaptured Omsk from White forces loyal to the Provisional All-Russian Government of Alexander Kolchak. He moved back to Omsk and married Belousova in January 1920. 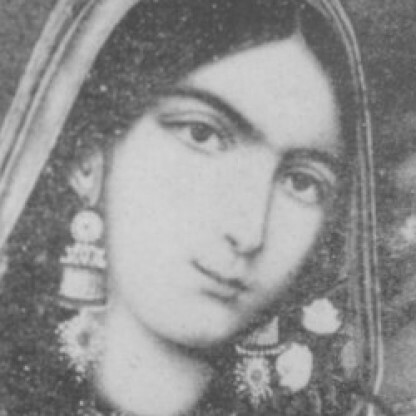 At the time of their marriage, Broz was 27 years old and Belousova was 15. In the autumn of 1920 he and his pregnant wife returned to his homeland, first by train to Narva, by ship to Stettin, then by train to Vienna, where they arrived on 20 September. In early October Broz returned home to Kumrovec in what was then the Kingdom of Serbs, Croats and Slovenes to find that his mother had died and his father had moved to Jastrebarsko near Zagreb. Sources differ over whether Broz joined the Communist Party while in Russia, but he stated that the first time he joined the party was in Zagreb after he returned to his homeland. Upon his return home, Broz was unable to gain employment as a metalworker in Kumrovec, so he and his wife moved briefly to Zagreb, where he worked as a waiter, and took part in a waiter&apos;s strike. He also joined the Communist Party of Yugoslavia (CPY). The CPY&apos;s influence on the political life of Yugoslavia was growing rapidly. In the 1920 elections it won 59 seats and became the third strongest party. After the assassination of Milorad Drašković, the Yugoslav Minister of the Interior, by a young communist named Alija Alijagić on 2 August 1921, the CPY was declared illegal under the Yugoslav State Security Act of 1921. Due to his overt communist links, Broz was fired from his employment. He and his wife then moved to the village of Veliko Trojstvo where he worked as a mill mechanic. After the arrest of the CPY leadership in January 1922, Stevo Sabić took over control of its operations. Sabić contacted Broz who agreed to work illegally for the party, distributing leaflets and agitating among factory workers. In the contest of ideas between those that wanted to pursue moderate policies and those that advocated violent revolution, Broz sided with the latter. In 1924, Broz was elected to the CPY district committee, but after he gave a speech at a comrade&apos;s Catholic funeral he was arrested when the priest complained. Paraded through the streets in chains, he was held for eight days and was eventually charged with creating a public disturbance. With the help of a Serbian Orthodox prosecutor who hated Catholics, Broz and his co-accused were acquitted. His brush with the law had marked him as a communist agitator, and his home was searched on an almost weekly basis. Since their arrival in Yugoslavia, Pelagija had lost three babies soon after their births, and one daughter, Zlatina, at the age of two. Broz felt the loss of Zlatina deeply. In 1924, Pelagija gave birth to a boy, Žarko, who survived. In mid-1925, Broz&apos;s employer died and the new mill owner gave him an ultimatum, give up his communist activities or lose his job. 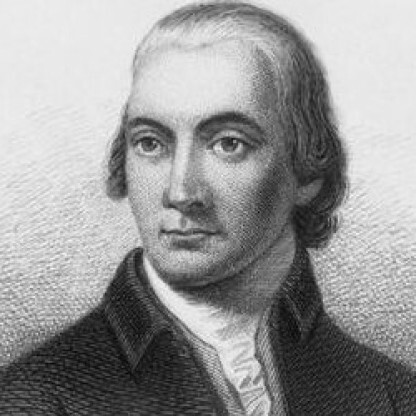 So, at the age of 33, Broz became a professional revolutionary. Tito carried on numerous affairs and was married several times. In 1918 he was brought to Omsk, Russia, as a prisoner of war. There he met Pelagija Belousova who was then fourteen; he married her a year later, and she moved with him to Yugoslavia. Pelagija bore him five children but only their son Žarko Leon (born 4 February, 1924) survived. When Tito was jailed in 1928, she returned to Russia. After the divorce in 1936 she later remarried. The CPY concentrated its revolutionary efforts on factory workers in the more industrialised areas of Croatia and Slovenia, encouraging strikes and similar action. In 1925, the now unemployed Broz moved to Kraljevica on the Adriatic coast, where he started working at a shipyard to further the aims of the CPY. While at Kraljevica he worked on Yugoslav torpedo boats and a pleasure yacht for the People&apos;s Radical Party Politician, Milan Stojadinović. Broz built up the trade union organisation in the shipyards and was elected as a union representative. A year later he led a shipyard strike, and soon after was fired. In October 1926 he obtained work in a railway works in Smederevska Palanka near Belgrade. In March 1927, he wrote an article complaining about the exploitation of workers in the factory, and after speaking up for a worker he was promptly sacked. Identified by the CPY as worthy of promotion, he was appointed secretary of the Zagreb branch of the Metal Workers&apos; Union, and soon after of the whole Croatian branch of the union. In July 1927 Broz was arrested, along with six other workers, and imprisoned at nearby Ogulin. After being held without trial for some time, Broz went on a hunger strike until a date was set. The trial was held in secret and he was found guilty of being a member of the CPY. Sentenced to four months&apos; imprisonment, he was released from prison pending an appeal. On the orders of the CPY, Broz did not report to the court for the hearing of the appeal, instead going into hiding in Zagreb. Wearing dark spectacles and carrying forged papers, Broz posed as a middle-class technician in the engineering industry, working undercover to contact other CPY members and coordinate their infiltration of trade unions. In February 1928, Broz was one of 32 delegates to the conference of the Croatian branch of the CPY. During the conference, Broz condemned factions within the party. These included those that advocated a Greater Serbia agenda within Yugoslavia, like the long-term CPY leader, the Serb Sima Marković. Broz proposed that the executive committee of the Communist International purge the branch of factionalism, and was supported by a delegate sent from Moscow. After it was proposed that the entire central committee of the Croatian branch be dismissed, a new central committee was elected with Broz as its secretary. Marković was subsequently expelled from the CPY at the Fourth Congress of the Comintern, and the CPY adopted a policy of working for the break-up of Yugoslavia. Broz arranged to disrupt a meeting of the Social-Democratic Party on May Day that year, and in a melee outside the venue, Broz was arrested by the police. They failed to identify him, charging him under his false name for a breach of the peace. He was imprisoned for 14 days and then released, returning to his previous activities. The police eventually tracked him down with the help of a police informer. 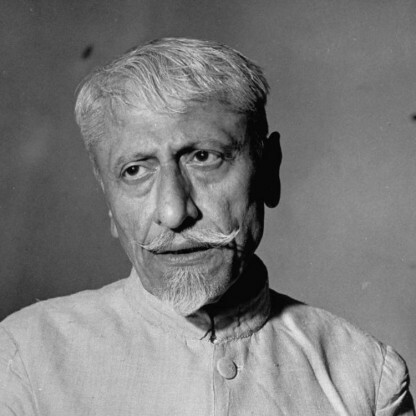 He was ill-treated and held for three months before being tried in court in November 1928 for his illegal communist activities, which included allegations that the bombs that had been found at his address had been planted by the police. He was convicted and sentenced to five years&apos; imprisonment. During this time Tito wrote articles on the duties of imprisoned communists and on trade unions. He was in Ljubljana when King Alexander was assassinated by the Croatian nationalist Ustaše organisation in Marseilles on 9 October 1934. In the crackdown on dissidents that followed his death, it was decided that Tito should leave Yugoslavia. He travelled to Vienna on a forged Czech passport where he joined Gorkić and the rest of the Politburo of the CPY. It was decided that the Austrian government was too hostile to communism, so the Politburo travelled to Brno in Czechoslovakia, and Tito accompanied them. On Christmas Day 1934, a secret meeting of the Central Committee of the CPY was held in Ljubljana, and Tito was elected as a member of the Politburo for the first time. The Politburo decided to send him to Moscow to report on the situation in Yugoslavia, and in early February 1935 he arrived there as full-time official of the Comintern. 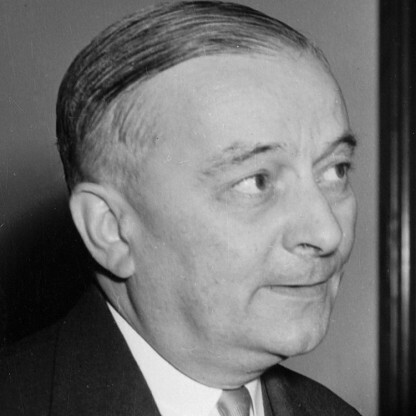 He lodged at the main Comintern residence, the Hotel Lux on Tverskaya Street, and was quickly in contact with Vladimir Ćopić, one of the leading Yugoslavs with the Comintern. He was soon introduced to the main personalities in the organisation. Tito was appointed to the secretariat of the Balkan section, responsible for Yugoslavia, Bulgaria, Romania and Greece. Kardelj was also in Moscow, as was the Bulgarian communist leader Georgi Dimitrov. Tito lectured on trade unions to foreign communists, and attended a course on military tactics run by the Red Army, and occasionally attended the Bolshoi Theatre. He attended as one of 510 delegates to the Seventh World Congress of the Comintern in July and August 1935, where he briefly saw Joseph Stalin for the first time. 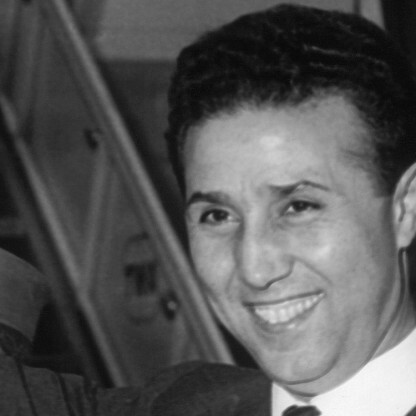 After the congress, he toured the Soviet Union, then returned to Moscow to continue his work. He contacted Polka and Žarko, but soon fell in love with an Austrian woman who worked at the Hotel Lux, Johanna Koenig, known within communist ranks as Lucia Bauer. When she became aware of this liaison, Polka divorced Tito in April 1936. Tito married Bauer on 13 October of that year. In 1936, when Tito stayed at the Hotel Lux in Moscow, he met the Austrian Lucia Bauer. They married in October 1936, but the records of this marriage were later erased. In June 1937, Gorkić was summoned to Moscow, where he was arrested, and after months of NKVD interrogation, he was shot. According to Banac, Gorkić was killed on Stalin&apos;s orders. West concludes that despite being in competition with men like Gorkić for the leadership of the CPY, it was not in Tito&apos;s character to have innocent people sent to their deaths. Tito then received a message from the Politburo of the CPY to join them in Paris. In August 1937 he became acting General Secretary of the CPY. He later explained that he survived the Purge by staying out of Spain where the NKVD was active, and also by avoiding visiting the Soviet Union as much as possible. When first appointed as general secretary, he avoided travelling to Moscow by insisting that he needed to deal with some indiscipline in the CPY in Paris. He also promoted the idea that the upper echelons of the CPY should be sharing the dangers of underground resistance within the country. 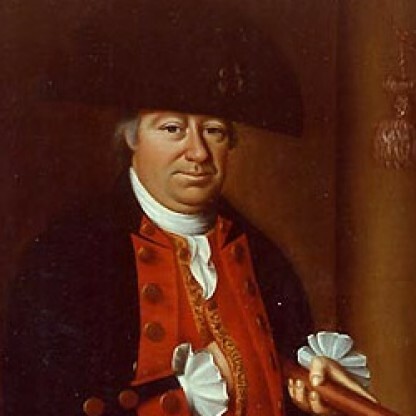 He developed a new, younger leadership team that was loyal to him, including the Slovene Kardelj, the Serb, Aleksandar Ranković, and the Montenegrin, Milovan Đilas. In December 1937, Tito arranged for a demonstration to greet the French foreign minister when he visited Belgrade, expressing solidarity with the French against Nazi Germany. The protest march numbered 30,000 and turned into a protest against the neutrality policy of the Stojadinović government. It was eventually broken up by the police. In March 1938 Tito returned to Yugoslavia from Paris. Hearing a rumour that his opponents within the CPY had tipped off the police, he travelled to Belgrade rather than Zagreb and used a different passport. While in Belgrade he stayed with a young intellectual, Vladimir Dedijer, who was a friend of Đilas. Arriving in Yugoslavia a few days ahead of the Anschluss between Nazi Germany and Austria, he made an appeal condemning it, in which the CPY was joined by the Social Democrats and trade unions. In June, Tito wrote to the Comintern suggesting that he should visit Moscow. He waited in Paris for two months for his Soviet visa before travelling to Moscow via Copenhagen. He arrived in Moscow on 24 August. While Tito was avoiding arrest in Moscow, Germany was placing pressure on Czechoslovakia to cede the Sudetenland. In response to this threat, Tito organised for a call for Yugoslav volunteers to fight for Czechoslovakia, and thousands of volunteers came to the Czechoslovak embassy in Belgrade to offer their services. Despite the eventual Munich Agreement and Czechoslovak acceptance of the annexation and the fact that the volunteers were turned away, Tito claimed credit for the Yugoslav response, which worked in his favour. By this stage, Tito was well aware of the realities in the Soviet Union, later stating that he "witnessed a great many injustices", but was too heavily invested in communism and too loyal to the Soviet Union to step back at this point. Tito&apos;s appointment as General Secretary of the CPY was formally ratified by the Comintern on 5 January 1939. His next relationship was with Herta Haas, whom he married in 1940. 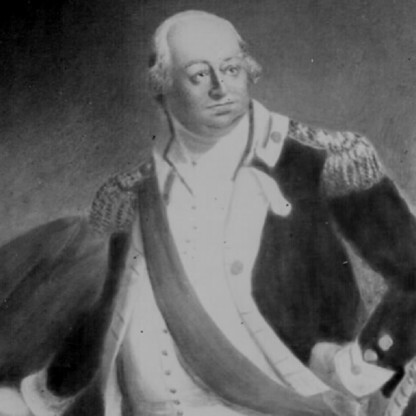 Broz left for Belgrade after the April War, leaving Haas pregnant. In May 1941, she gave birth to their son, Aleksandar "Mišo" Broz. All throughout his relationship with Haas, Tito had maintained a promiscuous life and had a parallel relationship with Davorjanka Paunović, who, under the codename "Zdenka", served as a courier in the resistance and subsequently became his personal secretary. Haas and Tito suddenly parted company in 1943 in Jajce during the second meeting of AVNOJ after she reportedly walked in on him and Davorjanka. The last time Haas saw Broz was in 1946. Davorjanka died of tuberculosis in 1946 and Tito insisted that she be buried in the backyard of the Beli Dvor, his Belgrade residence. 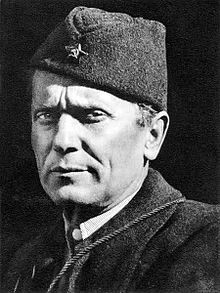 On 21 December 1941, the Partisans created the First Proletarian Brigade (commanded by Koča Popović) and on 1 March 1942, Tito created the Second Proletarian Brigade. In liberated territories, the Partisans organised People&apos;s Committees to act as civilian government. The Anti-Fascist Council of National Liberation of Yugoslavia (AVNOJ) convened in Bihać on 26–27 November 1942 and in Jajce on 29 November 1943. In the two sessions, the resistance representatives established the basis for post-war organisation of the country, deciding on a federation of the Yugoslav nations. In Jajce, a 67-member "presidency" was elected and established a nine-member National Committee of Liberation (five communist members) as a de facto provisional government. Tito was named President of the National Committee of Liberation. Tito was the chief Architect of the second Yugoslavia, a socialist federation that lasted from November 1942 until April 1992. Despite being one of the founders of Cominform, he became the first Cominform member to defy Soviet hegemony in 1948 and the only one in Joseph Stalin&apos;s time to manage to leave Cominform and begin with its own socialist program with elements of market socialism. Economists active in the former Yugoslavia, including Czech-born Jaroslav Vanek and Croat-born Branko Horvat, promoted a model of market socialism dubbed the Illyrian model, where firms were socially owned by their employees and structured on workers&apos; self-management and competed with each other in open and free markets. On 12 September 1944, King Peter II called on all Yugoslavs to come together under Tito&apos;s leadership and stated that those who did not were "traitors", by which time Tito was recognized by all Allied authorities (including the government-in-exile) as the Prime Minister of Yugoslavia, in addition to commander-in-chief of the Yugoslav forces. 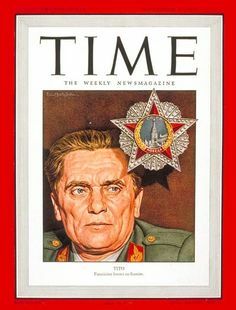 On 28 September 1944, the Telegraph Agency of the Soviet Union (TASS) reported that Tito signed an agreement with the Soviet Union allowing "temporary entry" of Soviet troops into Yugoslav territory which allowed the Red Army to assist in operations in the northeastern areas of Yugoslavia. With their strategic right flank secured by the Allied advance, the Partisans prepared and executed a massive general offensive which succeeded in breaking through German lines and forcing a retreat beyond Yugoslav borders. After the Partisan victory and the end of hostilities in Europe, all external forces were ordered off Yugoslav territory. In the immediate aftermath of World War II, there occurred several armed incidents between Yugoslavia and the Western Allies. Following the war, Yugoslavia acquired the Italian territory of Istria as well as the cities of Zadar and Rijeka. Yugoslav leadership was looking to incorporate Trieste into the country as well, which was opposed by the Western Allies. This led to several armed incidents, notably attacks by Yugoslav fighter planes on US transport aircraft, causing bitter criticism from the west. From 1945 to 1948, at least four US aircraft were shot down. Stalin was opposed to these provocations, as he felt the USSR unready to face the West in open war so soon after the losses of World War II and at the time when US had operational nuclear weapons whereas the USSR had yet to conduct its first test. In addition, Tito was openly supportive of the Communist side in the Greek Civil War, while Stalin kept his distance, having agreed with Churchill not to pursue Soviet interests there, although he did support the Greek communist struggle politically, as demonstrated in several assemblies of the UN Security Council. In 1948, motivated by the Desire to create a strong independent economy, Tito modeled his economic development plan independently from Moscow, which resulted in a diplomatic escalation followed by a bitter exchange of letters in which Tito wrote that "We study and take as an Example the Soviet system," but develop it a different form. Yugoslavia organized the Yugoslav People&apos;s Army (Jugoslavenska narodna armija, or JNA) from the Partisan movement and became the fourth strongest army in Europe at the time. The State Security Administration (Uprava državne bezbednosti/sigurnosti/varnosti, UDBA) was also formed as the new secret police, along with a security agency, the Department of People&apos;s Security (Organ Zaštite Naroda (Armije), OZNA). Yugoslav intelligence was charged with imprisoning and bringing to trial large numbers of Nazi collaborators; controversially, this included Catholic clergymen due to the widespread involvement of Croatian Catholic clergy with the Ustaša regime. Draža Mihailović was found guilty of collaboration, high treason and war crimes and was subsequently executed by firing squad in July 1946. As the President, Tito had access to extensive (state-owned) property associated with the office, and maintained a lavish lifestyle. In Belgrade he resided in the official residence, the Beli dvor, and maintained a separate private home. The Brijuni islands were the site of the State Summer Residence from 1949 on. The pavilion was designed by Jože Plečnik, and included a zoo. Close to 100 foreign heads of state were to visit Tito at the island residence, along with film stars such as Elizabeth Taylor, Richard Burton, Sophia Loren, Carlo Ponti, and Gina Lollobrigida. 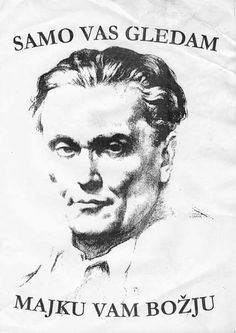 On 26 June 1950, the National Assembly supported a crucial bill written by Milovan Đilas and Tito about "self-management" (samoupravljanje): a type of cooperative independent socialist experiment that introduced profit sharing and workplace democracy in previously state-run enterprises which then became the direct social ownership of the employees. On 13 January 1953, they established that the law on self-management was the basis of the entire social order in Yugoslavia. 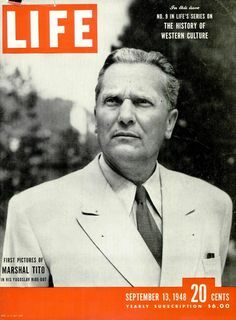 Tito also succeeded Ivan Ribar as the President of Yugoslavia on 14 January 1953. 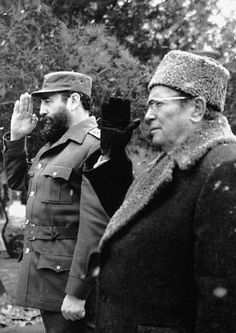 After Stalin&apos;s death, Tito rejected the USSR&apos;s invitation for a visit to discuss normalization of relations between the two nations. Nikita Khrushchev and Nikolai Bulganin visited Tito in Belgrade in 1955 and apologized for wrongdoings by Stalin&apos;s administration. Tito visited the USSR in 1956, which signaled to the world that animosity between Yugoslavia and USSR was easing. However, the relationship between the USSR and Yugoslavia would reach another low in the late 1960s. His best known wife was Jovanka Broz. Tito was just shy of his 59th birthday, while she was 27, when they finally married in April 1952, with state security chief Aleksandar Ranković as the best man. Their eventual marriage came about somewhat unexpectedly since Tito actually rejected her some years earlier when his confidante Ivan Krajacic brought her in originally. At that time, she was in her early 20s and Tito, objecting to her energetic personality, opted for the more mature opera singer Zinka Kunc instead. Not one to be discouraged easily, Jovanka continued working at Beli Dvor, where she managed the staff and eventually got another chance after Tito&apos;s strange relationship with Zinka failed. Since Jovanka was the only female companion he married while in power, she also went down in history as Yugoslavia&apos;s first lady. Their relationship was not a happy one, however. It had gone through many, often public, ups and downs with episodes of infidelities and even allegations of preparation for a coup d&apos;état by the latter pair. Certain unofficial reports suggest Tito and Jovanka even formally divorced in the late 1970s, shortly before his death. 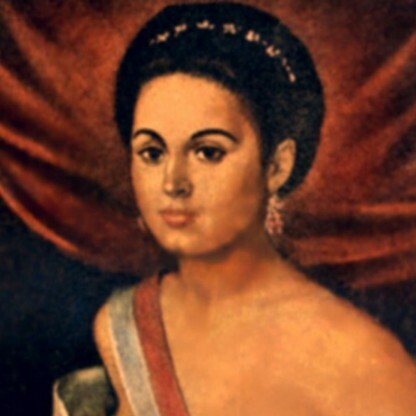 However, during Tito&apos;s funeral she was officially present as his wife, and later claimed rights for inheritance. The couple did not have any children. As regards knowledge of languages, Tito replied that he spoke Serbo-Croatian, German, Russian, and some English. Broz&apos;s official biographer and then fellow Central Committee-member Vladimir Dedijer stated in 1953 that he spoke "Serbo-Croatian ... Russian, Czech, Slovenian ... German (with a Viennese accent) ... understands and reads French and Italian ... [and] also speaks Kirghiz." Tito visited India from 22 December 1954 through 8 January 1955. After his return, he removed many restrictions on churches and spiritual institutions in Yugoslavia. Tito also developed warm relations with Burma under U Nu, travelling to the country in 1955 and again in 1959, though he didn&apos;t receive the same treatment in 1959 from the new leader, Ne Win. As the head of a "highly centralised and oppressive" regime, Tito wielded tremendous power in Yugoslavia, with his authoritarian rule administered through an elaborate bureaucracy which routinely suppressed human rights. The main victims of this repression were during the first years known and alleged Stalinists, such as Dragoslav Mihailović and Dragoljub Mićunović, but during the following years even some of the most prominent among Tito&apos;s collaborators were arrested. On 19 November 1956 Milovan Đilas, perhaps the closest of Tito&apos;s collaborator and widely regarded as Tito&apos;s possible successor, was arrested because of his criticism against Tito&apos;s regime. The repression did not exclude intellectuals and Writers, such as Venko Markovski who was arrested and sent to jail in January 1956 for writing poems considered anti-Titoist. Even if after the reforms of 1961 Tito&apos;s presidency had become comparatively more liberal than other communist regimes, the Communist Party continued to alternate between liberalism and repression. 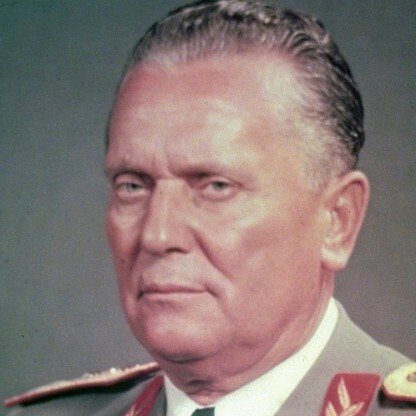 Yugoslavia managed to remain independent from the Soviet Union and its brand of communism was in many ways the envy of Eastern Europe, but Tito&apos;s Yugoslavia remained a tightly controlled police state. According to David Mates, outside the Soviet Union, Yugoslavia had more political prisoners than all of the rest of Eastern Europe combined. On 7 April 1963, the country changed its official name to the Socialist Federal Republic of Yugoslavia. Reforms encouraged private enterprise and greatly relaxed restrictions on religious expression. Tito subsequently went on a tour of the Americas. In Chile, two government ministers resigned over his visit to that country. 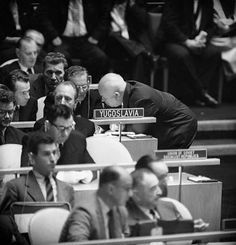 In the autumn of 1960 Tito met President Dwight D. Eisenhower at the United Nations General Assembly meeting. Tito and Eisenhower discussed a range of issues from arms control to economic development. When Eisenhower remarked that Yugoslavia&apos;s neutralism was "neutral on his side", Tito replied that neutralism did not imply passivity but meant "not taking sides". In 1966 an agreement with the Vatican, fostered in part by the death in 1960 of anti-communist archbishop of Zagreb Aloysius Stepinac and shifts in the church&apos;s approach to resisting communism originating in the Second Vatican Council, accorded new freedom to the Yugoslav Roman Catholic Church, particularly to catechize and open seminaries. The agreement also eased tensions, which had prevented the naming of new bishops in Yugoslavia since 1945. Tito&apos;s new socialism met opposition from traditional communists culminating in conspiracy headed by Aleksandar Ranković. In the same year Tito declared that Communists must henceforth chart Yugoslavia&apos;s course by the force of their arguments (implying an abandonment of Leninist orthodoxy and development of liberal Communism). The State Security Administration (UDBA) saw its power scaled back and its staff reduced to 5000. Declassified documents from the CIA show that already in 1967 it was clear that Tito&apos;s economic model had achieved growth of the gross national product at the cost of excessive and frequently unwise industrial investment and chronic deficit in the nation&apos;s balance of payment. In 1968, Tito offered Czechoslovak leader Alexander Dubček to fly to Prague on three hours notice if Dubček needed help in facing down the Soviets. 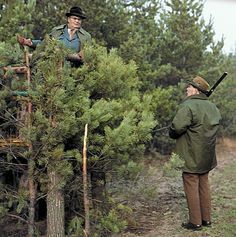 In April 1969, Tito removed generals Ivan Gošnjak and Rade Hamović in the aftermath of the invasion of Czechoslovakia due to the unpreparedness of the Yugoslav army to respond to a similar invasion of Yugoslavia. Yugoslavia&apos;s postwar development under Tito was significant but inferior to that of any European country adopting more market-based Models and just similar to the economic development showed by countries adopting similar systems to that of Yugoslavia, such as Hungary or Bulgaria. From an economic perspective, the model implemented by Tito relied on debt and was not built on a stable foundation. By 1970 debt was not anymore contracted to Finance investment, but to cover current expenses. The country ran into a deep economic crisis, marked by significant unemployment and inflation. The sign that the robustness of the Yugoslav economy was an illusion appeared immediately after Tito’s death, when the country could not repay the massive debt accumulated between 1961 and 1980. Between 1961 and 1980, external debt of Yugoslavia increased exponentially at the unsustainable pace of over 17% per year. The structure of the economy had formed in such a way that the Future survival of the economy relied on the exclusive condition of Future enlargement of the debt. In 1971, Tito was re-elected as President of Yugoslavia by the Federal Assembly for the sixth time. In his speech before the Federal Assembly he introduced 20 sweeping constitutional amendments that would provide an updated framework on which the country would be based. The amendments provided for a collective presidency, a 22-member body consisting of elected representatives from six republics and two autonomous provinces. The body would have a single chairman of the presidency and chairmanship would rotate among six republics. When the Federal Assembly fails to agree on legislation, the collective presidency would have the power to rule by decree. Amendments also provided for stronger cabinet with considerable power to initiate and pursue legislation independently from the Communist Party. Džemal Bijedić was chosen as the Premier. The new amendments aimed to decentralize the country by granting greater autonomy to republics and provinces. The federal government would retain authority only over foreign affairs, defense, internal security, monetary affairs, free trade within Yugoslavia, and development loans to poorer regions. Control of education, Health care, and housing would be exercised entirely by the governments of the republics and the autonomous provinces. Another residence was maintained at Lake Bled, while the grounds at Karađorđevo were the site of "diplomatic hunts". By 1974 the Yugoslav President had at his disposal 32 official residences, larger and small, the yacht Galeb ("seagull"), a Boeing 727 as the presidential airplane, and the Blue Train. After Tito&apos;s death the presidential Boeing 727 was sold to Aviogenex, the Galeb remained docked in Montenegro, while the Blue Train was stored in a Serbian train shed for over two decades. While Tito was the person who held the office of President for by far the longest period, the associated property was not private and much of it continues to be in use by Yugoslav successor states, as public property, or maintained at the disposal of high-ranking officials. Tito became increasingly ill over the course of 1979. During this time Vila Srna was built for his use near Morović in the event of his recovery. On 7 January and again on 11 January 1980, Tito was admitted to the Medical Centre in Ljubljana, the capital city of the SR Slovenia, with circulation problems in his legs. His left leg was amputated soon afterward due to arterial blockages and he died of gangrene at the Medical Centre Ljubljana on 4 May 1980, three days short of his 88th birthday. His funeral drew many world statesmen. During his life and especially in the first year after his death, several places were named after Tito. Several of these places have since returned to their original names, such as Podgorica, formerly Titograd (though Podgorica&apos;s international airport is still identified by the code TGD), and Užice, formerly known as Titovo Užice, which reverted to its original name in 1992. Streets in Belgrade, the capital, have all reverted to their original pre–World War II and pre-communist names as well. In 2004, Antun Augustinčić&apos;s statue of Broz in his birthplace of Kumrovec was decapitated in an explosion. It was subsequently repaired. Twice in 2008, protests took place in what was then Zagreb&apos;s Marshal Tito Square (today the Republic of Croatia Square), organized by a group called Circle for the Square (Krug za Trg), with an aim to force the city government to rename it to its previous name, while a counter-protest by Citizens&apos; Initiative Against Ustašism (Građanska inicijativa protiv ustaštva) accused the "Circle for the Square" of historical revisionism and neo-fascism. Croatian President Stjepan Mesić criticized the demonstration to change the name. In the Croatian coastal city of Opatija the main street (also its longest street) still bears the name of Marshal Tito, as do streets in numerous towns in Serbia, mostly in the country&apos;s north. One of the main streets in downtown Sarajevo is called Marshal Tito Street, and Tito&apos;s statue in a park in front of the university campus (ex. JNA barrack "Maršal Tito") in Marijin Dvor is a place where Bosnians and Sarajevans still today commemorate and pay tribute to Tito (image on the right). The largest Tito monument in the world, about 10 m (33 ft) high, is located at Tito Square (Slovene: Titov trg), the central square in Velenje, Slovenia. One of the main bridges in Slovenia&apos;s second largest city of Maribor is Tito Bridge (Titov most). The central square in Koper, the largest Slovenian port city, is as well named Tito Square. The main-belt asteroid 1550 Tito, discovered by Serbian Astronomer Milorad B. Protić at Belgrade Observatory in 1937, was named in his honor. Based on the number of attending politicians and state delegations, at the time it was the largest state funeral in history; this concentration of dignitaries would be unmatched until the funeral of Pope John Paul II in 2005 and the memorial Service of Nelson Mandela in 2013. Those who attended included four kings, 31 Presidents, six princes, 22 prime ministers and 47 ministers of foreign affairs. They came from both sides of the Cold War, from 128 different countries out of 154 UN members at the time.